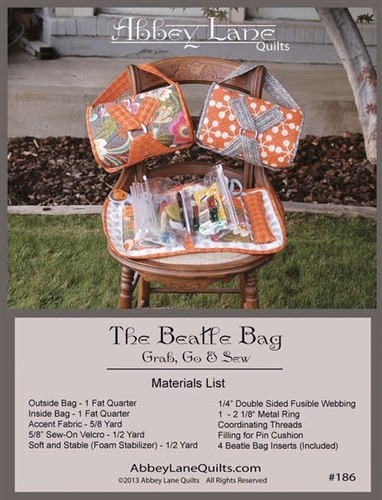 The Beatle Bag is your personalized traveling bag. We use it as a sewing kit, but you could store beads, flosses, make-up or jewelry. Great for all kinds of uses. Want to make more than one, we usually have extra sets of inserts available. 11in x 20in. 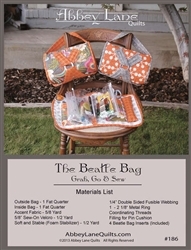 This pattern Includes Instructions and 4 Beatle Bag Inserts.